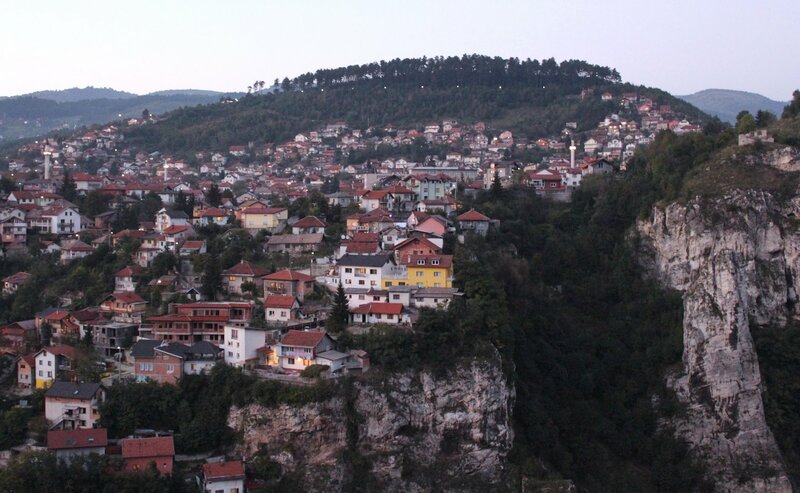 Butmir is a neighbourhood on the outskirts of Sarajevo. Those who have flown into the capital will have glimpsed the Olympic City mountains and clusters of salmon pink apartment blocks from their taxi windows on the way into town. Michael, an Austrian man with the healthy complexion of a holiday-goer on the Black Sea, is driving me to the European Force (EUFOR) base where he works. A EUFOR presence was established in Butmir to ensure peaceful co-operation between ethnic communities after multi-ethnic Yugoslavia fell apart and into war in the 1990s, and to place the country irreversibly on the track towards EU membership. 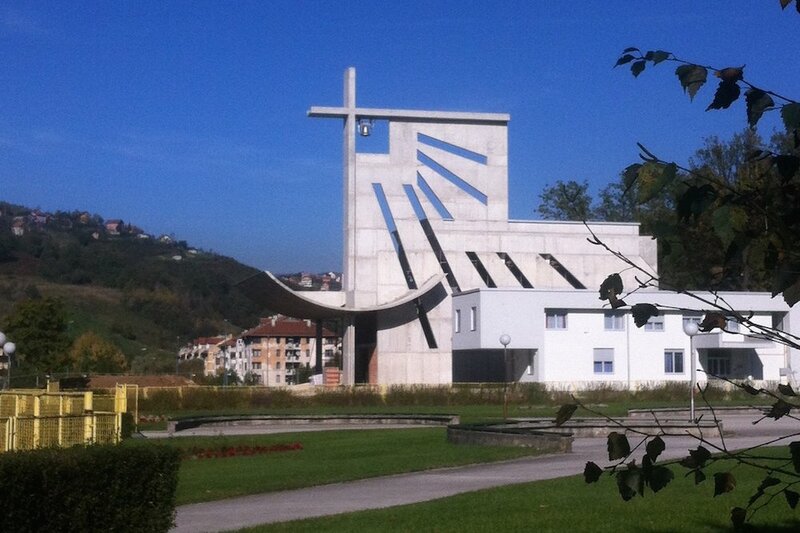 The Althea mission, as it is called, occupies the former NATO base, which was implemented near the end of the 1,425-day siege of Sarajevo. With the Serbian Army of Republika Srpska firing from the surrounding mountains, the siege cut the Bosnian capital off from vital supplies, and resulted in the deaths of nearly 14,000 people. The longest siege in the history of modern warfare was broadcast live from Europe’s backyard on colour television. Leaving the city centre, I catch Sarajevo in glimpses, cradled in the valley below. On signs, the phrase “Pazi mine!” is replaced with the Cyrillic equivalent, but the skull and crossbones warning to look for unexploded mines remains the same. It’s dusk when we arrive at the base and, while I’m no medium, a kind of foreboding permeates from the shadows of the mountains to one side. It may well be the dread of entering the army base which stood by during the relentless siege: the search lights, the disciplined walk of the night guards, the colossal concrete barriers and the long wall of barbed wire. The spiky tops point outwards, towards the city. Inside the base is like a theme park in the off-season. The American-style restaurant has a sign on the lawn reminding soldiers not to bring their guns inside. There’s a bicycle leaning against the entrance, illuminated by an orange porch light into which a hoard of mosquitos keep throwing themselves. How many NATO soldiers stood in this place and stared up at Mount Igman? How many refugees, safe in their apartments in Berlin or Chicago but desperate for information, watched as the Bosnian president was kidnapped from Butmir Airport? Across the hallway, two hairless men sit in camouflage pants with their shirts off, drinking Sarajevska beer and talking about nothing. The door is ajar and a German television program drones low in the background. We sit with them and I drink out of a plastic cup. They laugh at Michael for finding a German-speaking Canadian in Sarajevo. They laugh at my accent. They laugh when I ask them where they were before Butmir: Syria, Afghanistan, Sudan. How many refugees, safe in their apartments in Berlin or Chicago but desperate for information, watched as the Bosnian president was kidnapped from Butmir Airport? “What do you do here?” I ask. “We’re here to observe,” one says. “Taking notes,” says the other. When I go to the toilet, Michael gives me a laminated sheet of paper with a magnet taped to the back to stick to the sliding metal door. Printed on the front is a cartoon woman. The door doesn’t lock, so this smiling lady in primary colours is here to make sure I’m not disturbed. No women live in this building. I brush my teeth to the sound of the fluorescent lights, watching myself in the mirror at the end of a long line of identical sinks. Someone has left the window open. The suburbs are quiet and the mountains are quieter. In the morning, we squeeze Michael’s lunchbox-sized car up the narrow lanes of Sarajevo’s old town. Tamar is fiddling with the music and keeping an eye out for stray dogs. I’ve borrowed the car until dinner time and we’re taking advantage of the freedom to visit the “Tunel spasa” (“Tunnel of Hope”), Sarajevo’s hidden lifeline during the siege. The city was surrounded for more than a year before a tunnel was dug by volunteers to pass supplies from the Serbian-held Republika Srpska to the Bosnian forces in Sarajevo. While rations and medical supplies were brought through the tunnel as well, its most important function was to bypass the international arms embargo, which had left the city’s defenders with little to work with. As we weave up and over the hills, the cobbled streets widen into inter-city thoroughfares and we pass one final timid wooden mosque before the Orthodox churches begin. 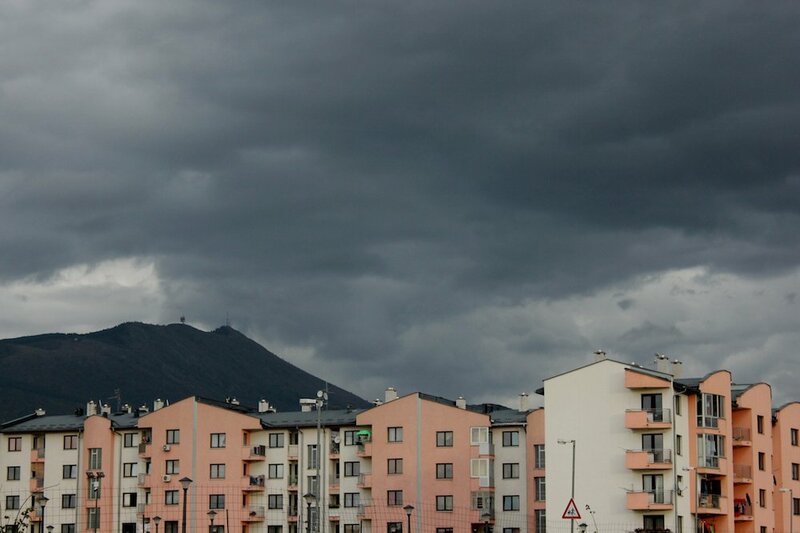 Butmir looks different in the daylight. There are empty candy wrappers and vegetable stalls on the curb, and unremarkable houses peer out from behind them. 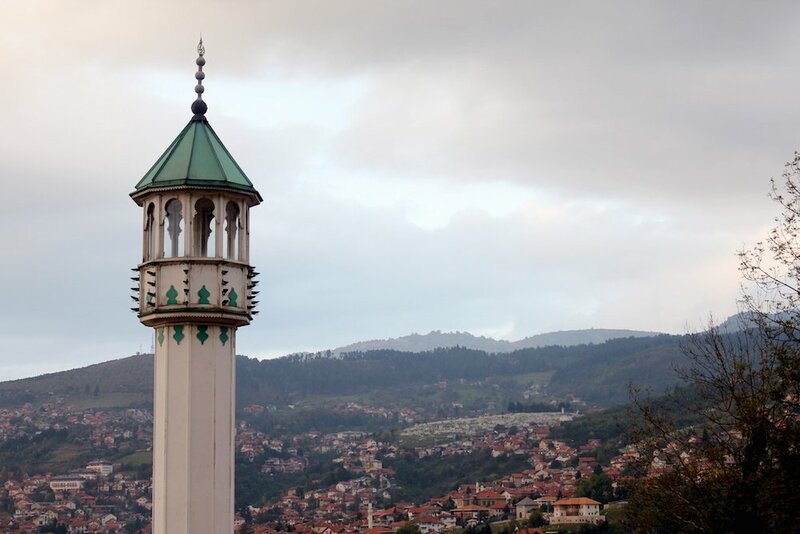 We’re far away from the minarets, the bridges, the smell of shisha and the 24-hour burek café. The Latin letters on signs have all given way to Cyrillic, and we sound the words out aloud as we speed past them. This is Republika Srpska. We stick close behind the other cars and I keep an eye out for any minivans that may have come up from a hostel in the city. “Dark tourism” tours have sprouted up like crocuses in spring, bearing names like Total Siege Tour and Understanding Genocide, catering for a handful of British retirees or young tourists with backpacks and vague recollections of an Austro-Hungarian city in flames on the television during the news at six. We approach an official-looking sign that announces the “Tunnel of Hope” in English and points straight into an empty pasture. Driving in circles for what feels like hours, we finally spot the museum and pull into a pockmarked parking lot behind a neighbouring house. A screen door slams around the corner. Crunching the gravel under his feet, a stout man announces: “The museum is closed today.” We falter. He shrugs, “come back tomorrow.” He must have registered the desperation in our faces, for not a moment passes before he concedes, “Alright, yes, the museum is open,” and gestures toward the next building. 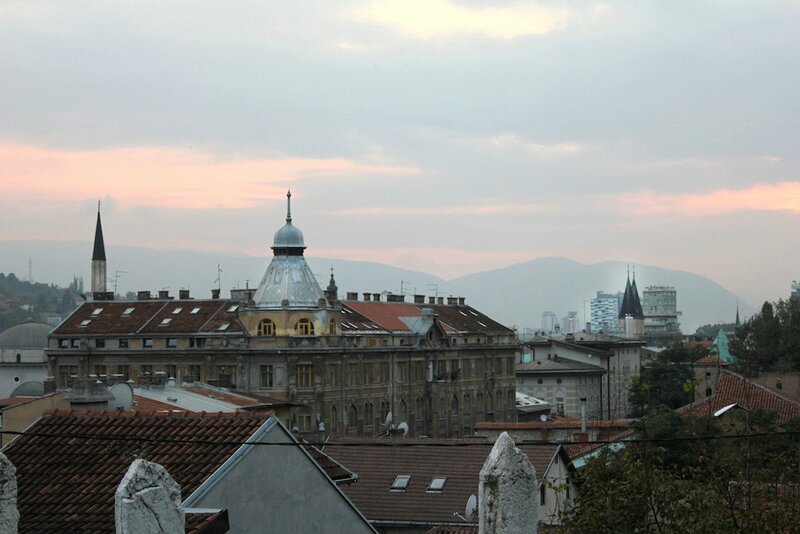 In front of the museum – really just a small and disfigured house – is a Sarajevo Rose. There are a dozen such roses in the city, the scars of mortar shelling in the pavement filled in with crimson paint as memorials. Inside the museum are mannequins dressed alternately as soldiers or victims, complete with sneakers I recognise from my childhood. Models of first aid kits and bundles of food are also on display, and twenty metres of the tunnel are open for visitors to walk through, crouched and claustrophobic. Afterwards, we find the man who greeted us sitting on his porch, selling pens made of bullet casings and fridge magnets from the Sarajevo Olympics. His name is Abid Jasar, and he helped dig the Tunnel in 1993. He walks us to the back of the house where a Zastava truck sinks into the grass, a shell of its former self. During the siege, he drove without lights – not even a glowing cigarette – along the narrow, winding mountain roads with the truck bed full of supplies. His jokes about the Tunnel museum make one thing clear: in a place where on-going corruption and ethnic tensions warrant a EUFOR presence, memorialising the war is like consigning the still-living to history. The government’s museum and Abid’s story won’t always match up, and while hours of “official narrative” and talking heads are packaged into post-war BBC documentaries, Abid, and others like him, are missing. We pause at the end of the road to get our bearings. To the right, EUFOR’s Althea base keeps watch. To the left, a crumbling underground tunnel points the way out of Butmir and down into the valley. I take a different route back, along Marshall Tito Boulevard, where a shopping centre welcomes us back into the city with a blinding array of violet screens. Months later, I find out that Althea is the name of the Greek goddess of healing.